The script adds a creative inventory all items that have not been, and will also open chests in creativity. Ender Chest mod for Minecraft Pocket Edition 0.10.5This is a very useful mod that adds to the game Ender chests! Put things in the first such chest they immediately will be in the second! 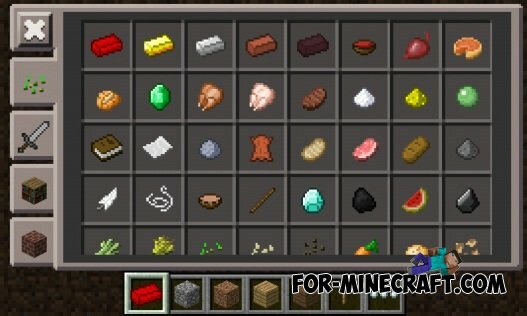 32,000 slots in the inventory mod for MCPE 0.10.5It is a simple mod, but it will be in your inventory slots 32k! This is very useful if you get tired of doing chests. Haunted Armor mod for Minecraft Pocket Edition 0.10.XHello everyone! Today I want to show you a cool mod that adds to the game 5 new mobs, namely ghosts in armor. To spawn take inventory of items in Creative spawn mobs and tap at any place. 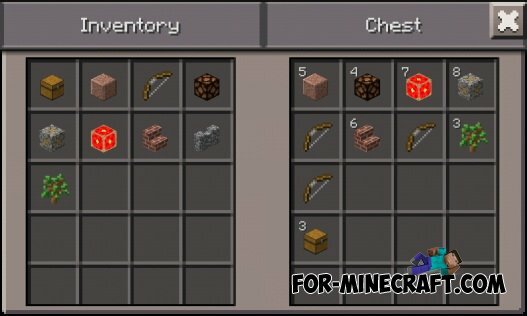 How to wear armor in creativity Minecraft PEToday we will try to put on Steve diamond armor in creativity, using a very simple way to edit the game files Minecraft PE. It will not let me download it in Dropbox! It won't do anything. Please help me. no worck me why ?????? ?